In Episode 10 of the Professional Military Education podcast, I talk to B.A. 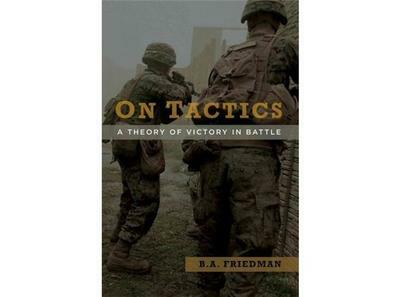 Friedman, author of On Tactics: A Theory of Victory in Battle. The conversation focuses on tactics and its relationship to strategy. Mr. Friedman discusses what he calls the three tactical tenets- physical, mental, and moral. He discusses how he developed his theory of tactics, and how that theory can be applied by military thinkers.